Price includes standard material with no imprint. Prices listed are per binder per case. Sold in Full Cases Only. 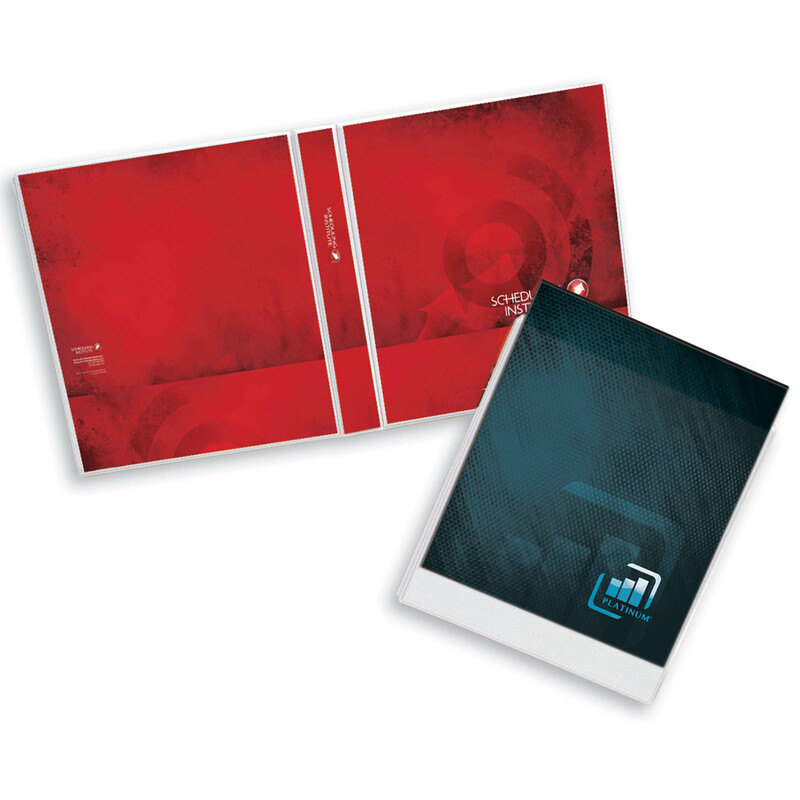 If you need a binder for that sales meeting or seminar and you need it fast, then the clear overlay binders is ready to go to work for you. These binders ship by the case same day and are ready for your materials upon arrival. Quality constructed with concealed rivets and clear inside front and back pockets for added appeal. The clear overlay is center stage for impactful, attention grabbing graphics. Simply slide graphic inserts into the top loading pockets and away you go!! Utilizes 2" round ring mounted to the spine which can hold 400 loose leaf sheets of 8-1/2" x 11" paper. Available for same day shipping! Shipped in full cases only. Price is per binder per case.